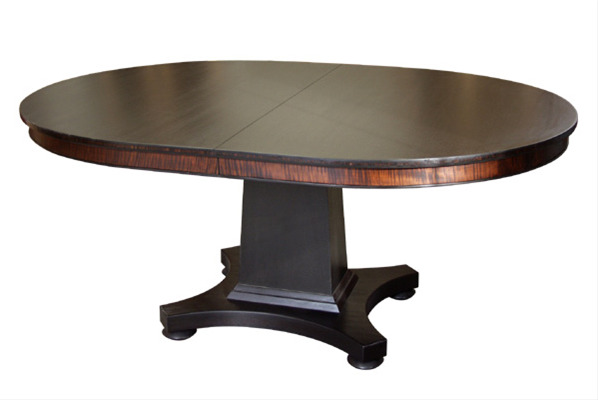 This is part of both our Ebonized furniture series and also relates to our other single pedestal expanding dining tables. This client opted to have the top and base blackened, yet let the stained curly maple of the apron come through. An interesting concept that shows just how many ways there are to skin the cat. Priced with two leaves in blackened mahogany.